The Ford Mustang's winning streak came to an end at the Tyrepower Tasmania SuperSprint, as the Red Bull Holden Racing Team got back to winning ways. But not before Scott McLaughlin claimed the sixth victory of his title defence, ensuring he left Symmons Plains with a sizeable buffer over the rest despite a quiet Sunday. After plenty of weighty conversations following the Albert Park, teams and drivers got back down to business in the first leg of a double-header. As attention turns to this weekend's WD-40 Phillip Island SuperSprint, let's dissect the big talking points from the Apple Isle. 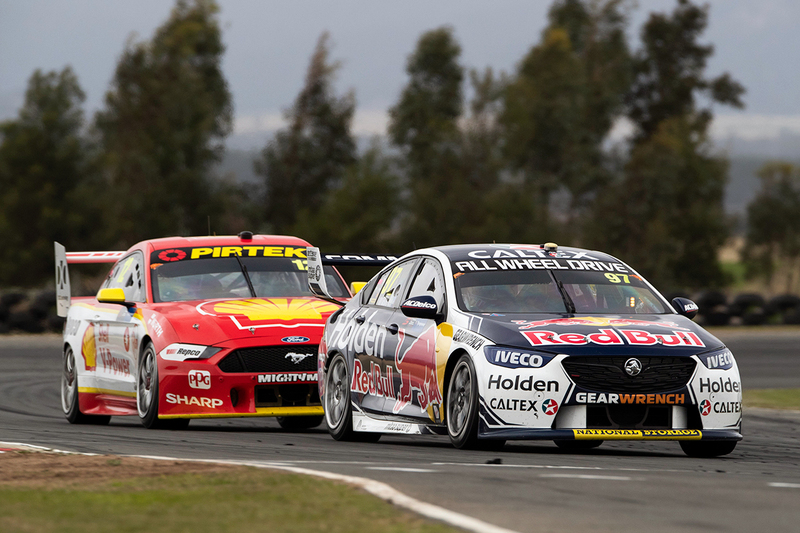 Shane van Gisbergen's victory on Sunday was the first for a Holden in 2019, after the Mustang took seven straight. The form of Ford's new Supercar over the first two events, led by McLaughlin's Shell V-Power Racing variant, has been hotly-debated. Across the Adelaide and Albert Park meetings, it won all six races and claimed all six ARMOR ALL Poles, prompting the usual unrest elsewhere in pitlane and online. Supercars undertook centre of gravity tests, and subsequently elected to raise ballast within the Mustang and Commodore to match the Nissan Altima before Symmons Plains. That dominated headlines leading into the event where the Mustang won on Saturday and the Commodore on Sunday, but the latter claimed pole each day. The quickest Holdens were Triple Eight’s, and it's worth remembering the enviable record Roland Dane's operation has in Tasmania. Van Gisbergen's victory means it has now won 20 of 30 races held at Symmons Plains since 2008. 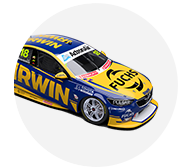 Including Triple Eight customer Mark Winterbottom's IRWIN Racing ZB, you also now have to go back to the Saturday race in 2017 to find a different package on pole. As it stands, the Mustang's record is the same as the then-new ZB Commodore 12 months ago; seven wins from the first eight races. Phillip Island's fast and flowing layout has been circled by van Gisbergen as a key barometer for how Triple Eight is coping with the switch back to linear springs. It's one of Supercars' most aero-dependent circuits, and while the Mustang dominated the pre-season test, this weekend will also shed more light on the impact of the COG changes. After his Albert Park nightmare, van Gisbergen enjoyed a much smoother run in Tasmania. He grabbed third on Saturday, after a late pass on Winterbottom for the final podium spot that left him feeling 'like a burglar'. Van Gisbergen lost ground off the line from third but ran long in his first stint to set up a tyre advantage and sixth-to-third charge on the run home. On Sunday, he opened his pole and victory tallies for the year, controlling the race other than briefly in the second stint when Fabian Coulthard utilised an undercut. Van Gisbergen fell from second to 11th in the points in Melbourne thanks to an engine failure, lost wheel and clash with Coulthard. 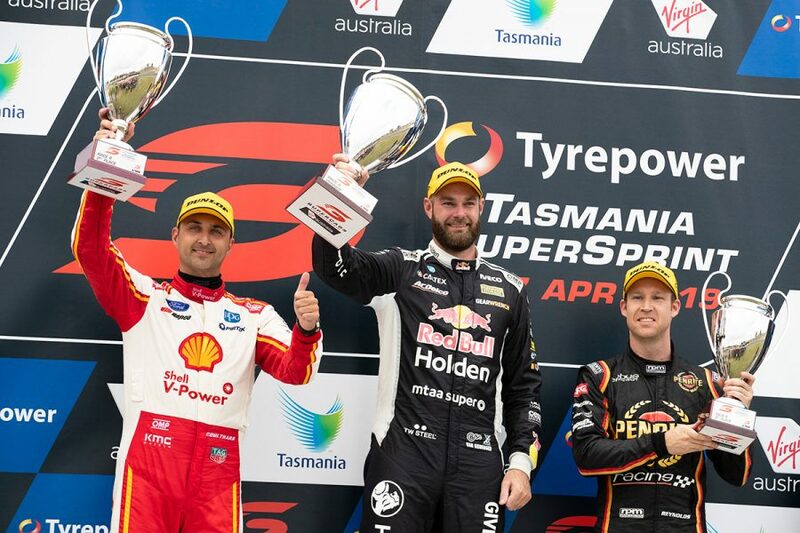 He's back up to fourth after a strong Tassie weekend, which was Jamie Whincup's turn to have a very un-Triple Eight run. After setting a commanding pace on Friday, all Whincup had to show for his endeavours is a fifth on Sunday. A 'vulnerable' Whincup battled a straightline deficit all weekend, which Mark Dutton said was due to a problem with gearshifts rather than a new engine fitted on Friday evening. His Saturday was disastrous. A spin in qualifying sentenced Whincup to 15th on the grid, before an early touch with Chaz Mostert left him two laps down and 25th. After qualifying in the teens again on Sunday, he at least got up to fifth, but goes from second in the standings and 31 points behind McLaughlin to third and 160 adrift. Can Coulthard complicate McLaughlin's run? 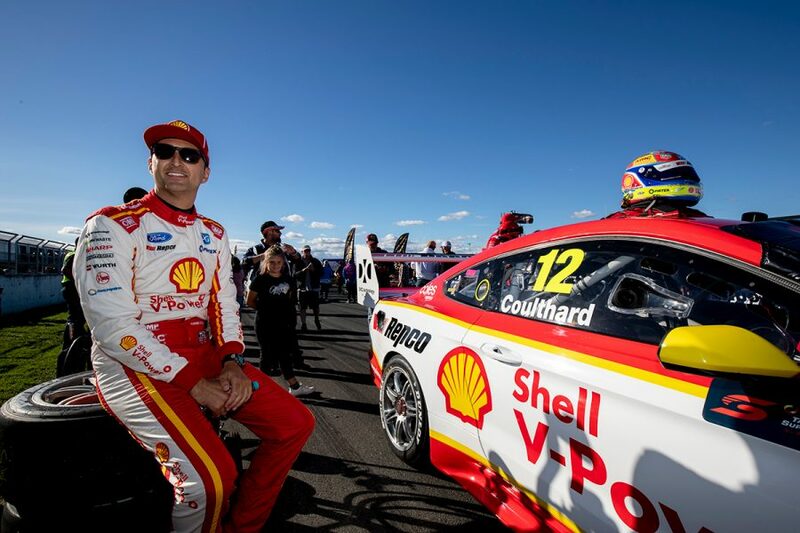 Coulthard is now McLaughlin's closest challenger in the championship, 124 points off, after his first dual-podium weekend since the 2018 Albert Park event. Second each day continued a promising start for Coulthard, who was squarely left in the shade by eventual champ McLaughlin last year. While some early results have gone begging, Coulthard is clearly more comfortable in the Mustang than he was in last year's Falcon FG X and has already matched his 2018 podium tally of three. Coulthard's 2018 stats against McLaughlin did not make pretty reading, including losing head-to-head qualifying 28:3 across the campaign, and an average grid position of 9.4 to 3.4. He's out-qualified McLaughlin in two of the eight sessions so far this year and improved his average grid position to 4.6 against McLaughlin's 2.0. Crucially, the driver ahead on the road early in any given race generally ends up with the preferred pitstop strategy. From second on the grid on Sunday, Coulthard left the less-than-ideal strategy for McLaughlin, who lined up fifth after 'spraying it' in qualifying. Coulthard went on to finish second, while McLaughlin's early undercut in the first round of stops hurt later on, leaving him to finish a relatively-quiet fourth. If the out-of-contract Coulthard can get that sort of one-lap pace out of his Mustang more often in 2019, he'll be giving himself the best chance possible of challenging McLaughlin. T8 + T18 = P1? Sorry for any high-school maths class flashbacks, but it's worth looking at the role Team 18 is playing in Triple Eight's 2019. When you talk about IRWIN Racing's technical alliance with the factory Holden squad, it's easy to focus on data and information simply heading down the pipe to Charlie Schwerkolt's single-car. 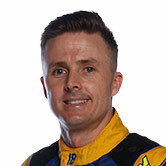 But Winterbottom and engineer Phil Keed are already proving a valuable ally. 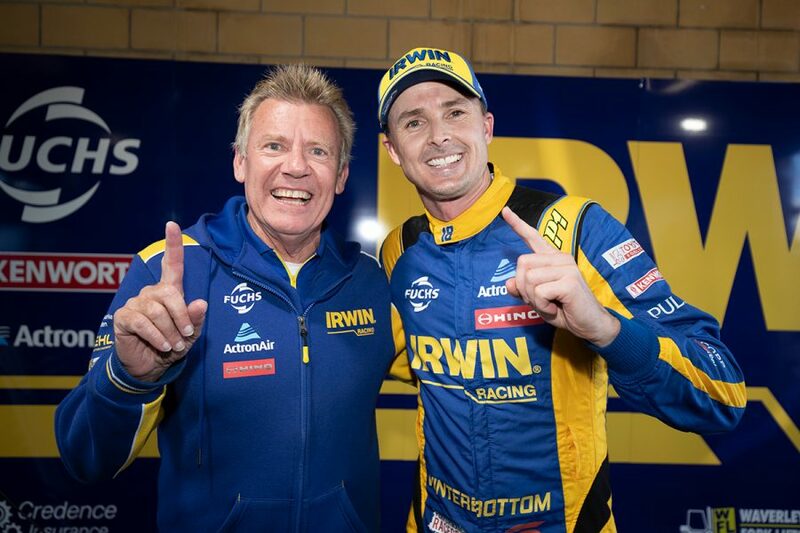 After 13 years at Tickford, Winterbottom is settling into his new environment well, and is seventh in the championship with five top 10s and no finish lower than 13th. Symmons Plains represented a breakthrough on pace, with Winterbottom taking the team's maiden pole and his first in 1,000 days on Saturday. A podium was just out of reach, losing third on the penultimate lap to van Gisbergen, but Winterbottom showed it wasn't a flash in the pan by starting fourth and finishing sixth the next day. Van Gisbergen won that Sunday race, and credited Winterbottom and Keed for their role in setting up his Red Bull Holden. "Some of the stuff they were doing, we’ve never even thought about before, so it was pretty cool to plug that in and find a little gain," he noted. Tickford Racing was one of the form squads across Adelaide and Albert Park after its lacklustre 2018, getting a driver on the podium in five of the first six races. Chaz Mostert won a race and the Larry Perkins Trophy in Melbourne, but was keeping expectations in check about a title bid, noting Symmons Plains has been the Ford outfit's 'nemesis' in recent years. Other Tickford types were similarly conservative in their expectations, and – as it turns out – with good reason. 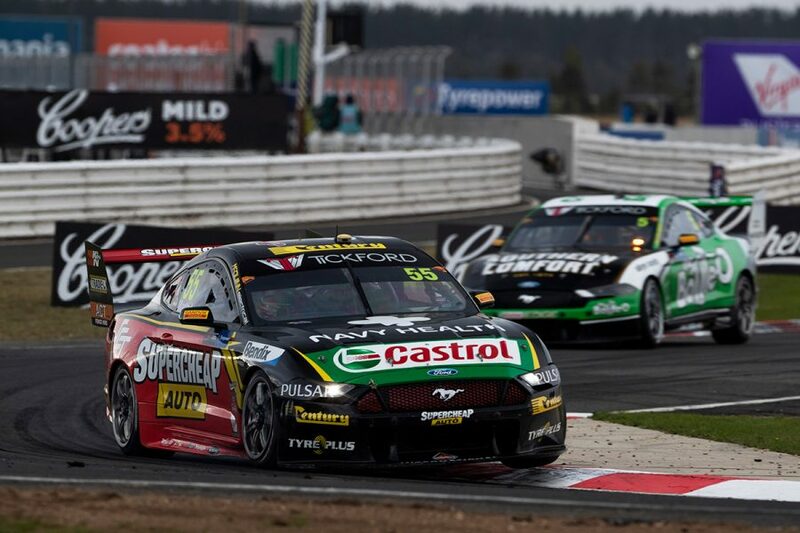 The best any of the four Mustangs managed on Saturday was ninth on the grid (Lee Holdsworth) and 10th in the race (Mostert), then eighth (Cameron Waters) and ninth (Holdsworth) on Sunday. Tickford refused to entertain the COG changes as anything resembling an excuse, given the Shell Fords finished 1-2 on Saturday and then second and fourth a day later. Symmons' unique hairpin remained problematic for the squad's package, while Mostert and Waters outlined a straightline speed deficit they hope to see addressed. Tassie was where 2018 started to unravel for Tickford, looking in from the outside at least, so we'll learn more about the progress it has made over the coming weeks.